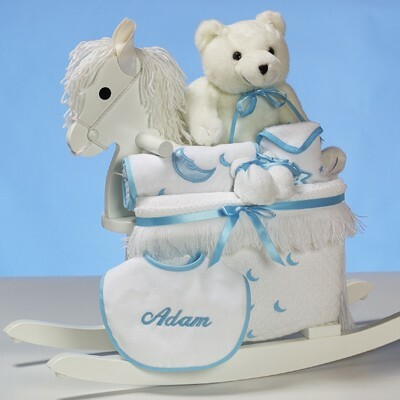 Our rocking horse baby gifts have been customer favorites for more than 20 years. 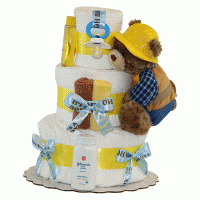 This personalized one for a baby boy is no exception. It starts with our classic painted white wood rocking horse. The rocker is made to our specifications, tested for safety, personalized for baby, and sturdy enough to provide years of enjoyment. Parents love the neutral white finish because it compliments just about any decor. 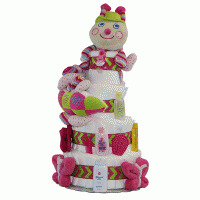 From there the rocking horse is beautifully embellished with quality layette items new mothers need and appreciate. 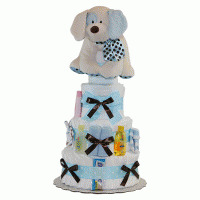 As the final touch, each rocking horse baby gift is exquisitely wrapped in tulle to make a big impression.